Colorado private water fly fishing at it’s best. The legend continues to grow with every trophy rainbow trout caught at the ranch. This carefully managed private water fly fishing ranch is situated in a secluded tranquil valley along the North Fork of the South Platte River. The exclusive property offers the best private water fly fishing in Colorado without paying a membership. This section of river is loaded with huge rainbow trout. Large rainbows from 2-5 pounds are common. Many monster rainbow trout up to 10 pounds have been caught here. Also home to brown trout, cutthroat trout, and brook trout, the ranch provides a unique trout fishing trip for anglers of all skill levels. 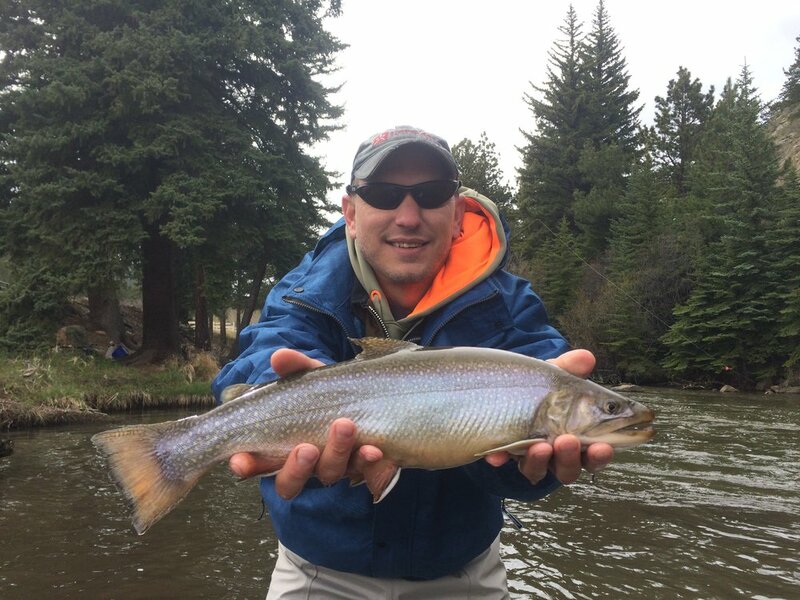 Located only 50 minutes from Denver, the North Fork Ranch provides an excellent opportunity for a Denver fly fishing trip. The North Fork Ranch also boasts some of the best accessibility for anglers compared to most rivers. There are easy to travel trails along both sides of the river. There are 2 bridges to cross and fish from the other side. There are custom built benches along the entire length of the river. You might just forget you are in the mountains of Colorado! Lunches. We cannot forget to mention the lunches. A catered lunch served by the staff of the North Fork Ranch. There is never a shortage of selection and no one goes home hungry. Served streamside in the summer, inside Wildhorse lodge when the weather is chilly. North Fork Ranch is open year around! Read about our exclusive winter rates here. Private water. In addition to the North Fork Ranch we also have exclusive access to other premier private water.Boxwood Gulch Ranch is just a mile away from the North Fork Ranch. In the meadows just above Boxwood is Long Meadow Ranch. 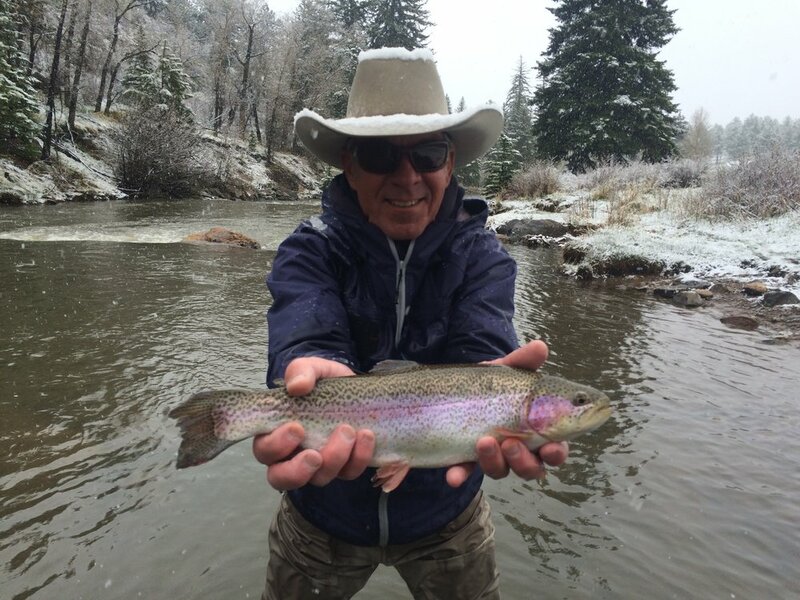 Another exclusive Colorado private water fly fishing ranch.